I'm embarking a month long project where I'll be posting a "Creativity Quickie" on my Instagram and Facebook page. 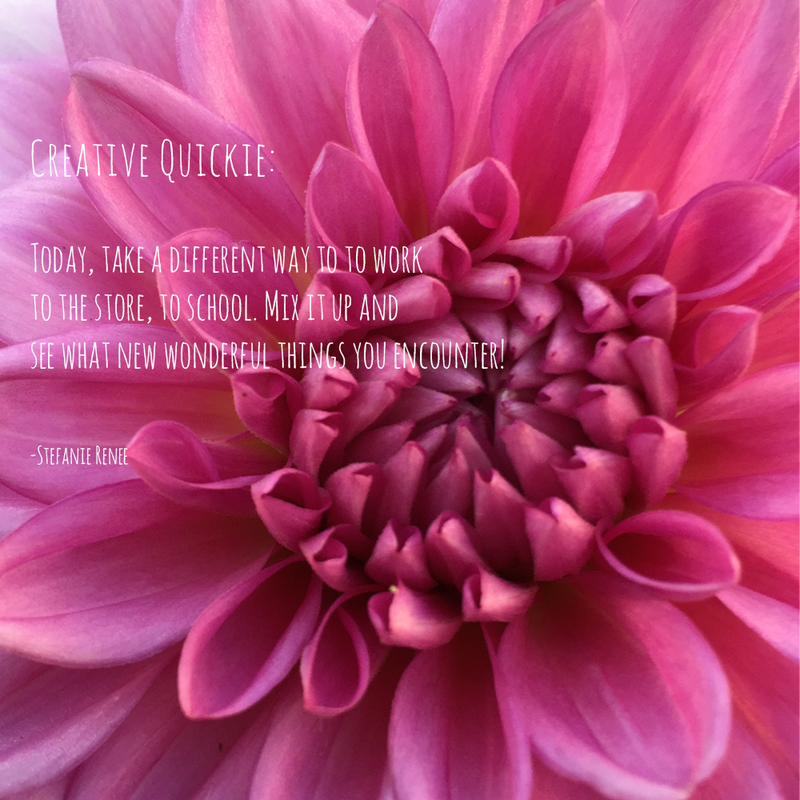 These little prompts will nudge you into a creative life if you incorporate them into your life. My adventure started with taking a later bus and seeing this fabulously dressed older man who had the most beautiful smile. I took a different way back to the bus after work and I ran into this group of children who all had on rainbow shirts - what a fun surprise that was and they both brightened my day!